Our linens are custom cut, sewn and embroidered to order and there are many custom color options! 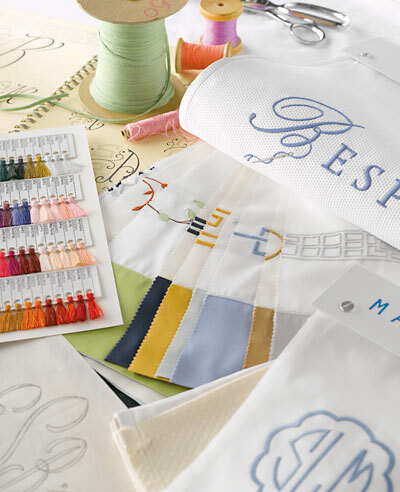 To receive color swatches, we are happy to offer on approval color charts of fabric, embroidery thread and tape/binding border trims for our Bedding, Bath and Monogram Collections. You can see an entire color range which allows you to preview all the colors in your own home to make your selections. 1) Shop our website and choose the style of bedding or bath linens you wish to order. 3) Order color charts below and we will mail those to you on approval. 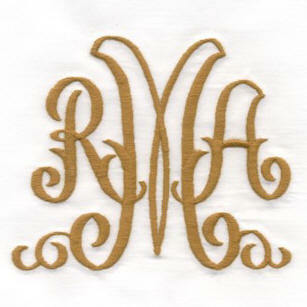 4) Order up to 5 thread samples at no charge for our Signature Monogrammed Linens. For questions, please contact us! We're happy to help!